Welcome to the website of the World Universities Forum. 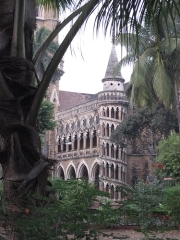 In 2009, the conference will be held in conjunction with the Indian Institute of Technology - Bombay, Mumbai, India, celebrating its fiftieth anniversary as one of the leading higher education institutions in India. The Forum examines the role and future of the University in a changing world. The 2009 Forum follows our highly successful inaugural conference in Davos, Switzerland, in January 2008. It is ambitious in its intellectual and practical, agenda-setting scope, and broad in its themes. Please return to this website for the names of additional plenary speakers as they confirm participation. In addition to these keynote sessions, the program will include numerous parallel paper, colloquium and workshop presentations. Participants are welcome to submit a presentation proposal for 30-minute paper, 60-minute workshop, or jointly presented 90-minute colloquium session. Parallel sessions are loosely grouped into streams reflecting different perspectives or disciplines. Each stream also has its own talking circle, a forum for focused discussion of issues. For those unable to attend the Conference in person, virtual participation is also available. Presenters may choose to submit written papers to the Journal of the World Universities Forum, a fully refereed academic Journal. Virtual participants also have the option to submit papers for consideration by the Journal. All registered Forum participants receive a complimentary online subscription to the Journal when registration is finalised. This subscription is valid until one year after the Forum end date. For all inquiries, please contact the Conference Secretariat. The World Universities Forum is held annually in different locations around the world. The inaugural Conference was held in Davos, Switzerland in 2008. One of the paradoxical characteristics of our time is that some of the most creative thinking comes from business, politicians and other community leaders rather than academe. The World Universities Forum has been created in the belief that there is an urgent need for academe to connect more directly and boldly with the large questions of our time, in much the same way that the World Economic Forum has forged a role of global intellectual leadership for politicians, business people and community leaders. Established in 1991, the World Economic Forum has been an important site for dialogue and debate regarding the major social and economic problems of the planet. At its annual meetings in Davos, it brings together the most astute thinkers and scholars and the most powerful economic and political organisations, to participate in wide-ranging conversations and set the agenda for on-going debates. It has become increasingly influential in shaping policy debates. While much of the discussion at Davos concerns political and economic matters, the topics WEF considers have profound implications for universities around the world, not only in relation to their governance but also with respect to the issues of how best to interpret and respond to the global transformations. As they consider the broader context within which they are located, universities are not only more affected by the issues that WEF addresses than ever before, but they also have a greater role to play in solving the global problems and setting the agenda for the knowledge economy and society. With the interests of WEF and universities increasingly aligned, the World Universities Forum (WUF) has been planned as a counterpoint, enabling a genuine exchange of ideas between political and economic leaders, University sector leaders and leading higher education scholars.